Below you can view properties listed on our website that have 1 bedroom. I have a ground floor 1 bed flat with open play kitchen front room with a wash room and built in wardrobe in bedroom which rooms are both good sizes I also have a cupboard in the hallway. 3 bedroom maisonette in Plymouth overlooking a large green space park, 2 double bedrooms and a small bedroom, large living room, separate toilet and bathroom with overhead shower, own balcony and quiet lovely neighbours. Close to all ameneties, shops, doctors, gym, parks, schools, bus routes, everything really. I have a very large one bedroom first floor flat in a very nice part of bury st edmunds. 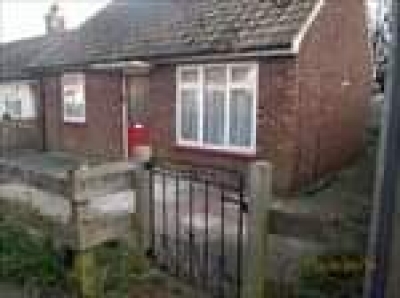 Close to schools , good bus route and close to local shops and hospital. I Have a large first floor flat with balcony. C/h. Double glazjng. Bus stop across road. Residential car park. A regular one bedroom council flat in Holly Park,Islington. I have a 1 bedroom ground floor flat, with own entrance, front and back garden. 6-8 mins to Cabot Circus and bristol bus station. Parking available. Hi the house backs on to the south downs. It has 3 bedrooms 2 doubles. There is a separate dining room which can be used as an extra bedroom. 1 bed ground floor flat, big bedroom spacious living and kitchen space, tiny out side space. One bedroom ground floor flat in sheltered accommodation, laundry on ground floor lovely gardens front and back, quiet area. I have a nice one bed bungalow. Gable end has large garden, front and back door, recently renovated bathroom with bath and shower, newly decorated bedroom, good decor throughout. It’s a quiet area it has shops, gym, doctor, cafes, pubs, post office, library and bus service. I am looking to move to Aberdeen but will consider all areas. I have a large 2 bedroom 1st floor flat, balcony, 3 storage cupboards, 3 schools and nurseries near by. Doctors, shops. Everything on door step. I live in Trumpington in a one bedroom flat with no garden. There is a kitchen, bathroom, and living room and a wooden balcony. It is a new flat. It is on the third level and you can take a lift or stairs right to the top. I moved in my new 2nd floor flat in December 2018, due to the demolition of my old home. Ideally I want to start fresh in a new area, as I have been in the same area for nearly 23 years! Close to shops, Market and Transport. 5 minute drive or a 10-15 minute walk to the hospital and forest. Central Heating, Chrome radiator in the Bathroom. Shower and Bath. Two bed ground floor maisonette. Would like to move to Aberdeen. One bedroom modern property in a two storey block. A very nice and secure property,a blank canvass so would be ideal for someone who's looking to put there own stamp on somewhere or start a fresh. Very spacious living room and kitchen open plan. Separate bedroom and bathroom. Velux windows in bedroom and living room. video intercom for security. New windows wonderful neighbour upstairs, will be redecorated soon,good size lounge and bedroom and lots of cupboard space including outside shed. 1 bedroom flat in Lewisham, zone 2 in London. Good size one bedroom flat on the 1st floor. 4 flats to a block so very clean and quiet. Shared communal garden area well looked after. Street parking. Hourly bus service 6 Days a week. 10 minute walk for main bus/train services. Nice area to live. Moving to be closer to family. 2 bedroom property with carport in very quiet area 5 min drive to Lanark.